The effectiveness of property rights - and the rule of law more broadly - is often depicted as depending primarily on rulers' 'supply' of legal institutions. Yet the crucial importance of private sector 'demand' for law is frequently overlooked. This book develops a novel framework that unpacks the demand for law in Russia, building on an original enterprise survey as well as extensive interviews with lawyers, firms, and private security agencies. By tracing the evolution of firms' reliance on violence, corruption, and law over the two decades following the Soviet Union's collapse, the book clarifies why firms in various contexts may turn to law for property rights protection, even if legal institutions remain ineffective or corrupt. 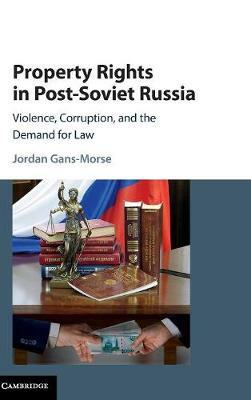 The author's detailed demand-side analysis of property rights draws attention to the extensive role that law plays in the Russian business world, contrary to frequent depictions of Russia as lawless.